Filipino IBO World Champion Jack Asis faces the Australian boxer Waylon Law for a 10-round non-title fight on May 13, 2016 at Rumours International, Toowoomba, Queensland. 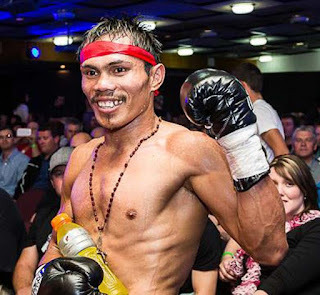 Jack Asis is a Filipino boxer who is currently residing in Toowoomba, Queensland, Australia. He is the current International Boxing Organization World super featherweight champion after upseting Kye Mackenzie in 2015. Asis with the record of 34W(18KO)-18L-5D is currently handling 14th straight wins . He is also ranked no.1 in Australia and no. 24 in the world in the super featherweight division. The Davaoenio fighter last seen winning his fight against Hero Tito in June 2015. On the other hand, Waylon Law of Australia has a record of 9W(2KO)-6L. He is the former WBC Asian Boxing Council Continental lightweight champion. Law last fight was in 2014 against Weerahit Kitee and he won the fight via Unanimous Decision. This event is promoted by Brendon Smith of Smithys TGW Promotions Pty Ltd.